Each year on my Christmas vacations I get the opportunity to read some fiction. This year I chose Charles Dickens’ A Christmas Carol, mainly because I’ve been vowing that I will read it every year for the past five years. I am a man of my word…eventually, and this is my evidence. We’re all familiar with this story because we’ve all seen one of the many T.V. or movie versions of it. At least I hope that is the case. Having read the book one thing I noticed is that there is not much missing from most of the movies, in fact a lot of things are added if anything. So you non-readers out there can rest easy that your recent viewing of whatever version of A Christmas Carol will probably suffice you. Yet there were a few things upon reflecting on this story that stood out to me that I think are worth pointing out. First its that this is a timely story still. It is a story about the human roots of our social and economic problems with wealth and poverty. In an age of the 1%, an age where a popular voice resists the very tenets of charity, Dickens’ book is still directly relevant. It makes us face the inhumanity of many of our social charities, and it convicts us of the proper use of our incomes. At the same time the main way in which Scrooge’s reformed philanthropy gets worked out is through a relationship. The point of Scrooge’s reformation is not just that he started donating his money instead of hoarding it, it is that he learned how to “keep Christmas.” So we see that his major changes involve attending parties with relatives, sponsoring Bob Cratchit’s career and developing a relationship with the whole Cratchit family, and generally being known as an engaging and personal person. The point here is that Scrooge’s charity is as much about his person as it is about his money. 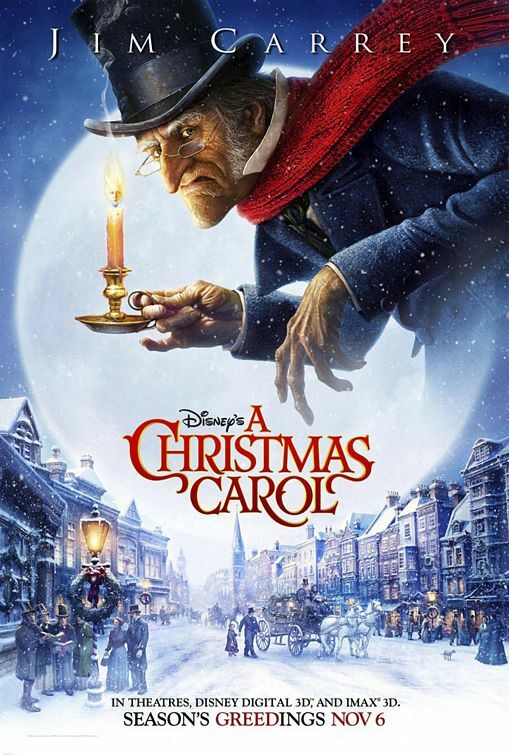 Finally, in an age where many of us are convinced that Scrooge is a type of what plagues our own world today it is interesting to note that the story is one where his character is redeemed. We would perhaps not blink an eye at the lifetime incarceration of corrupt Wall Street traders, or perhaps assume that there is no redemption possible there. Dickens interrupts our own inhumanity with a narrative about the dynamics that redeem the inhumane wealthy. Of the many things that Dickens could appeal to in order to get his point across, he does not debate economics, duty, or responsibility (though these all play a certain part in his short story). Dickens choose to appeal to the humanity of the comfortably numb—from the pain of a lonely childhood and the recollection of youth’s idealism to the fear of immanent punishment, whether through the loss of social reputation or the eternal judgment. This story is both an indictment and an appeal to the condition of our humanity in order to make a better, more cheerful, more open-hearted world. “Oh! Captive, bound, and double-ironed,” cried the Phantom, “not to know, that ages of incessant labour by immortal creatures, for this earth must pass into eternity before the good of which it is susceptible is all developed.” . . . .“But you were always a good man of business, Jacob,” faltered Scrooge, who now began to apply this to himself. The three versions of A Christmas Carol I watched this season with rankings. The winner, far and away. There is no getting around the felicitous way in which the Henson company blends humor and innovation with fidelity to the original text and story. Perhaps this has more to do with Dickens, but this version includes a large amount of dialogue ripped straight from the 19th century book, and it fits seamlessly within a movie intended at least partially for younger audiences. Something this version has that no other version does well is a narrator. Dickens’ Christmas Carol has a narrator voice that often chimes in, yet most versions don’t keep this element in their retelling. So good on you, Muppets. Throw in the fact that it stars the inimitable Michael Caine, and that they went to the effort of making a prefabricated gag-reel in the special features and I think we can all agree that this is the definitive visual edition of Dickens’ classic. A close second, or as close as anything is going to get to the Muppets’ masterpiece. I will always remember the poor parents who took their young kids to see this in the theatre when it came out. They came expecting another enjoyable trip through Victorian England, they left knowing that their kids will not sleep alone for some time. 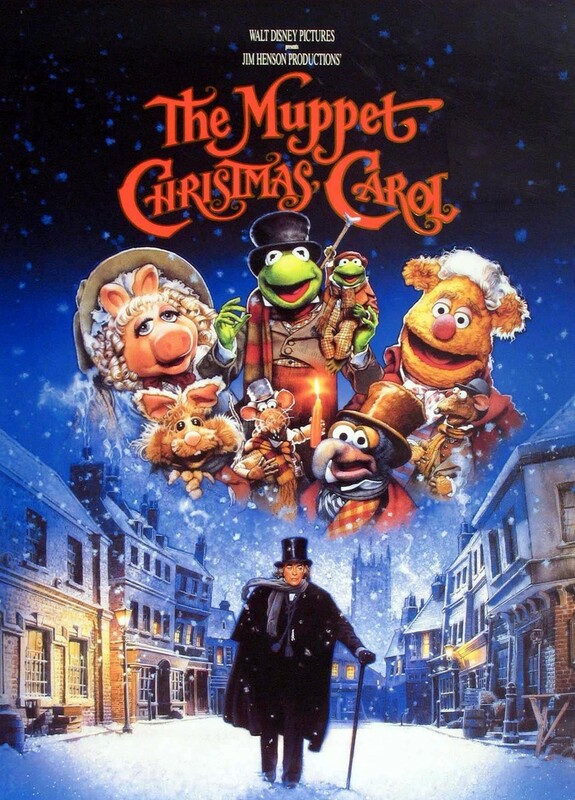 Besides being very faithful to the original text, more so than the Muppet version, the feature that stands out the most is the gritty and grotesque realism. Nothing is romanticized. Scrooge is usually difficult to look at and Marley could inspire nightmares in adults (read: a personal confession). 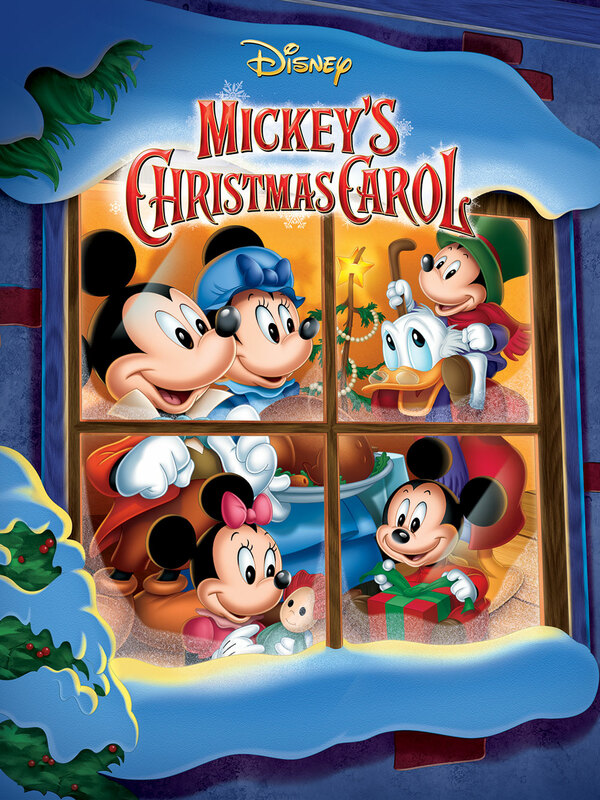 It makes the whole tale into an immersive experience, one that reminds the viewer that this is not just a benign Christmas tradition, but rather a story with important lessons embedded within it. It lacks a lot though. The realism is perhaps overplayed, and cripples, if not suffocates, most attempts at humor, even by Jim Carrey. It includes some fairly strange story-telling elements that are not in the original work, and it is kind of difficult to see why. They are interesting for sure, but I’m unsure why these innovative pieces were thrown in while a number of original aspects were left out. Still, this is an amazing retelling that is hard to beat, unless you’re a Muppet. Shame on you, Mickey Mouse. This was just awful. I can only forgive them because I know in my heart of hearts that this was intended for young children, which in some infinitely small way justifies the bastardization that this movie is. Its like when you watch the Broadway play (via television or the internet or something because, like me, you’re not that wealthy) of your favorite film. You know that they have to make changes in order to incorporate it into this different medium, but you’re still a little let down about how everything is different; tweaked and changed into something just barely recognizable. And then those same playwrights just say, forget it, and do whatever the heck they want, guided only by a skeleton of the original narrative. That’s this movie, and I hate it.